Hey there everybody. How have you all been? Good I hope. How are all your business ventures and efforts coming along? I hope you are starting to see progress and the information contained within this blog is proving useful in your endeavours. Today I am going to talk about smartphone apps and tablet apps. 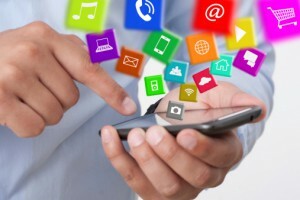 Apps are essential for running an efficient business in this day of age. If you have not already furnished your staff with smartphones to on which to run their apps you really need to get on the case. Get over to http://www.used.forsale to get the best bargains online and get them kitted out with a suitable device. But who makes these apps in the first place? They don’t just grow on trees, do they? Somebody has to come up with the idea, have the app developed, market it and ultimately profit from it. So why couldn’t that be you and your business? In this blog post I am going to look at smartphone app development as a business model and source huge profit. We’ve all heard the saying “There’s an app for that!” haven’t we? Believe it or not, there have been more apps developed and released since the launch of the smartphone than all the computer programs for all platforms since advent of the computer age put together. We are talking about literally millions of apps! And why not? They are relatively cheap to build in comparison to a computer program. They normally serve a specific purpose and are cheap or even free for the end user to acquire. There is always room for more app. But here is the thing; if somebody doesn’t come up with the idea for an app or see the gap in the market that does not already have an app serving it, apps won’t get built. The market will stagnate. It is as simple as that! Take 10 mins and consider all the problems in your particular market that could solve with a simple app. Most of the existing apps out there are hardly works of genius. They are pretty straight forward applications to help people simplify their lives. That’s it. “But I can’t code….” I knew you were going to say that! Ok, so not everybody can code. In fact, only a very small percentage of the world’s population can code. But it is just these coders who are coming up with all the app ideas? Hell no! They’re too busy concentrating on their primary role which is coding, of course! It’s entrepreneurs like you and I that coming up with the ideas, sketched out on a piece of scrap paper with blunt pencil during a coffee break. I kid you not! That is where app ideas originate. Coders can be hired online to create your app around $1500. That is what they do. That is what they are good at. But they need to be given the concept in the first place. That is where we come in. Trust me when I say that this could be the best opportunity you pass by if you don’t act today. The market is that huge and it is so relatively cheap to get started and grab your share of it. Literally thousands of startups in recent years have been based on the humble app. It could just be the right business model for you too. Homework! Come up with three app ideas to serve or solve a problem in your chosen market and email them to me at the usual address. I’ll review the best 3 ideas in my next blog post. Ciao for now!